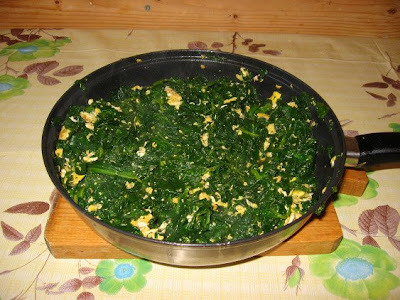 I've tried this recipe for a very delicious meal: spinach egg the Kurdish way. Surprisingly, the preparation takes almost no time: very rapid and very easy. It's a very light meal. It is very popular in the south-east region of Turkey. I added the recipe below. Wash the spinach. Keep the spinach for 1-2 minutes in boiling water then drain well. In a frying wide pan heat the oil, then add the beaten eggs and the tomato paste. Stirr well for 2-3 minutes then add the drained spinach and stirr again for 2-3 minutes to blend with the eggs. It looks delicious, Deniss. If only I hadn't lost my sense of taste - I used to love food! I hope you and your family are well.